Vendors are people or companies that you buy products from, or that perform services for your business. ZipBooks helps you keep track of your list of vendors in an organized and efficient way. Make sure your vendors' contact information is current, and view expense histories all in one convenient place. Keep track of payments you owe to stay current on all your bills. 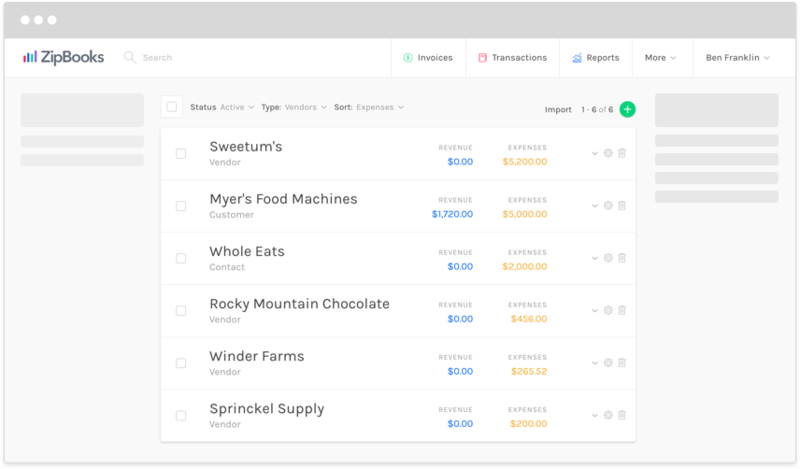 ZipBooks will automatically identify general contacts as vendors when you attach a bill or expense to their name. If you no longer use someone as a vendor, but you’d like to keep their info on hand, simply change them back to a contact.